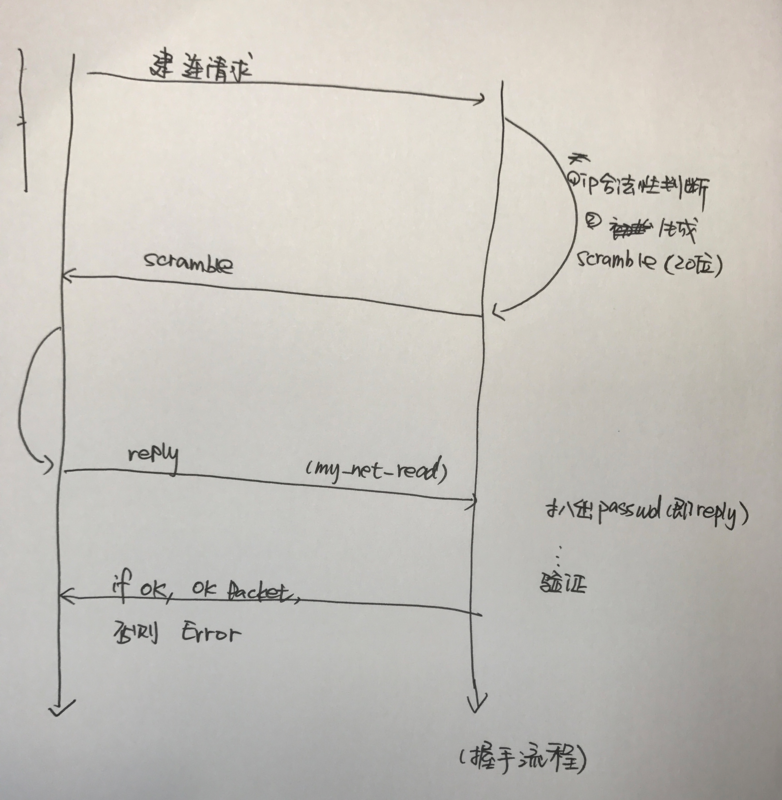 client发起一个连接请求, 到拿到server返回的ok包之间, 走三次握手, 交换了[不可告人]的验证信息, 这期间mysql如何完成校验工作? 如图, client发起连接请求, server创建新的线程, 并进入acl_authenticate(5.7位于sql/auth/sql_authentication.cc, 5.6位于sql/sql_acl.cc)函数完成信息验证, 并把包里读出的信息更新到本线程. Old passwords are zero terminatedtrings.